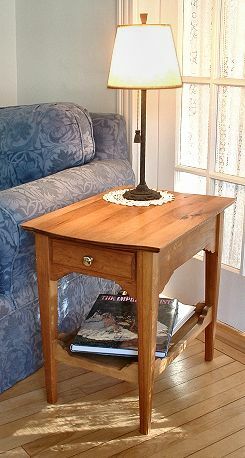 Solid pine armoire, coffee table and end tables. Original design by Roger Kimball. 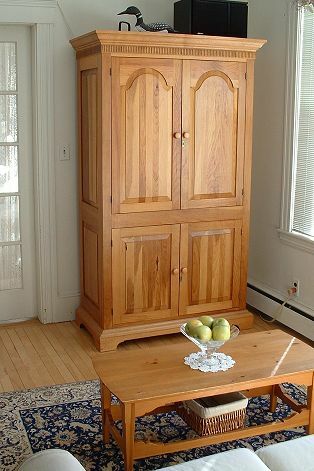 Armoire features frame-and-panel doors and sides. 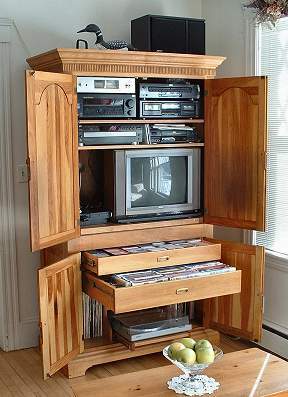 Drawers (above) are full-extension, allowing access to cassettes or videotapes in back of drawer. 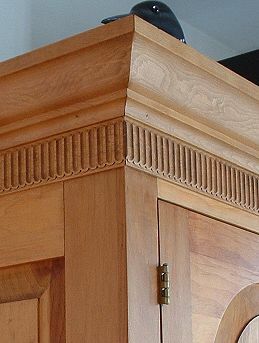 Sliding shelves for television and record turntable (at bottom of cabinet) slide out smoothly to allow better access. 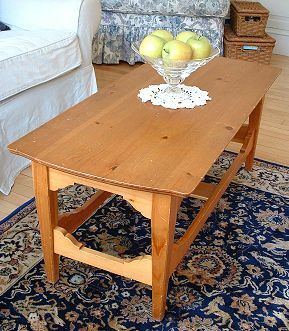 Matching Coffee Table (left) and End Table (right).